According to the U.S. Centers for Disease Control and Prevention (CDC), about 64 million men and women suffer with gum disease that puts them at risk for other serious health conditions. In addition to heart disease, gum disease has been correlated with a higher risk for stroke, diabetes, and osteoporosis in adults. The stakes are high, which is why dental professionals urge patients to be proactive in building and maintaining oral health. 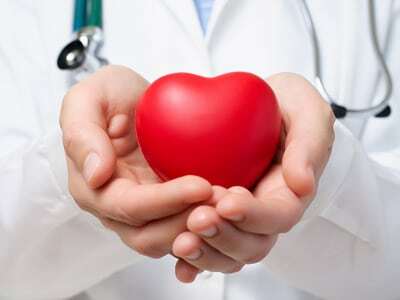 If gum disease causes heart disease, then it’s undeniable that proactive gum care is a necessity for long term health. Take a moment review the following tips for building and maintaining strong gums and heart. Practice Good Oral Hygiene. Brush, floss, and use an alcohol-free mouth rinse to rid the mouth of the plaque that causes oral bacteria. Quit Tobacco. Smoking and chewing tobacco expose the entire oral cavity to toxins that cause dryness, irritation, and cellular damage. Quit tobacco to improve both gum and heart health. Exercise. Get up and get moving! Even just 20 minutes of light to moderate exercise each day is enough to gradually improve heart health over time. Eat Well. Foods and drinks have a profound impact on the composition and health of your body. Take advantage by fueling yourself with fresh, clean, and organic produce that is sourced from a local farm or distributor you trust. Fruits, vegetables, legumes, and other low cholesterol foods are essential. Take a Time-out. Stress triggers an increase in the hormone cortisol, which has been correlated with obesity and higher risk of heart disease. Stress is most commonly caused by environmental queues that signal a threat. Take time to unwind, and protect yourself from the damaging effects of stress. Exercise, walks, meditation, and coloring (yes, coloring for adults) are just a few of the most effective ways to combat the negative side effects of stress. Read this year’s most recent gum and heart disease news, published by American Academy of Periodontology (AAP). At Assure A Smile, we believe gum disease may cause heart disease when left untreated. Take action now by scheduling a dental appointment online, or call our friendly front desk at 305-274-0047.